Sonny tells Carly that he wasn&apos;t unfaithful because Nelle admitted she drugged him. He wants them to get back together. Carly says maybe Nelle&apos;s lying in order to get back into Michael&apos;s good graces. Sonny admits that he&apos;s difficult to live with, but that no one knows him like Carly does. He&apos;s certain they can get back together. Then Jax walks out, half naked. The man in the hoodie rummages through Alexis&apos; house, then takes off when she gets home. 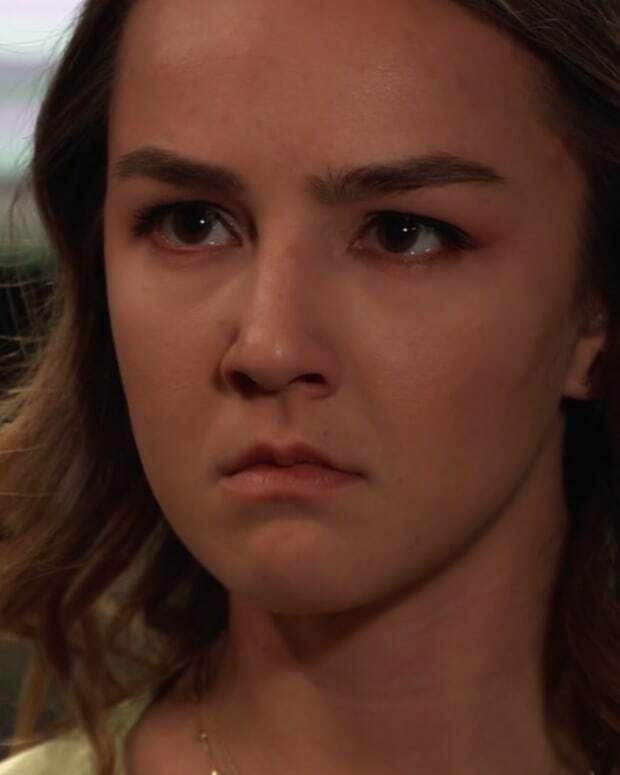 Alexis feels something&apos;s off and is surprised when Kristina shows up. Kristina tells her mother about her talk with Nathan and is worried that Alexis is putting herself in danger. Alexis reassures her, then admits that she feels Julian&apos;s presence. Alexis explains to her about the knocking at the door and dropped phone calls. Alexis says she has unresolved feelings. Kristina tells her that it will take time to recover. Kristina finds the photo album sitting out, but Alexis is certain she put it away. After Kristina leaves, Alexis sees that there&apos;s a picture missing. Lulu and Rocco pay Dante a visit at the station. Dante realizes Lulu is nervous about her visit with Charlotte and reassures her. Rocco worries that his parents will love Charlotte more than him, but Lante reassure him. Curtis finds Hayden drinking at the coffee shop. She says she&apos;s avoiding Finn. Curtis knows Finn loves her, but he needs rehab. Finn calls Hayden. He begs her to come over so they can work things out together, but Hayden refuses. Hayden wants Curtis to go dancing with her. She comes onto him by kissing him. Curtis breaks it off, saying they&apos;re friends and he doesn&apos;t want to risk that. Hayden kisses him again just as Finn walks up and sees them. Curtis swears it&apos;s nothing, insisting Hayden is drunk and confused because of Finn. Curtis tells him that he needs help, but Finn isn&apos;t listening. Curtis says the addiction will own him and he&apos;ll never get better. Finn storms off. Hayden apologizes to Curtis for hitting on him. He comforts her when she starts crying, saying that she will bounce back. Finn heads to the pier to score some drugs. Sonny gets angry that Carly slept with Jax. He accuses her of not being able to go five minutes without a man. He calls her a whore, so Carly slaps him. Carly says Sonny lied to her repeatedly, but that she believed in him. Sonny declares they are done. Jax wonders if Carly&apos;s feeling guilty. She says what they had was special, but that she&apos;s done with Sonny.